Hi! 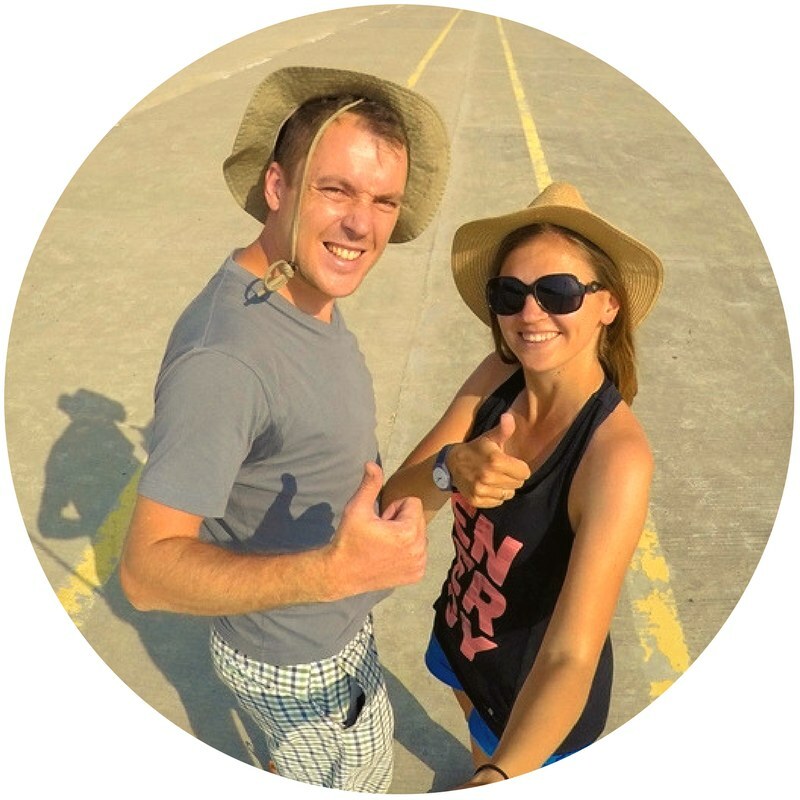 We’re a young married couple of travel bloggers who love exploring the world. If you think we could organise something nice together, feel free to read the information below! Travelling around Europe and to the furthest corners of the world. We do low-budget travelling – we simply like it. We love: good coffee, photography, music and football. We started blogging in August 2017, just after we came back from a journey to Southeastern Asia which lasted several months. Before We Get Old is a place where we write about our marital travels around the world, with a huge emphasis on practical how-to-do’s. The blog develops dynamically from month to month, and that’s why we extended its content by adding travel videos, lifestyle posts as well as inspirational posts which encourage the readers of our blog to travel. We are a married couple who normally lives in Silesia, Poland. We travel together and we organise every expedition by ourselves. We feel best when we are in nature, so sleeping in a tent and drinking good coffee in the open air are the things that make us happiest. We are currently realising several travel projects. If you think that one of them can suit your brand, write to us! A long-term project that involves short weekend trips to European towns and cities. The world under the stars. We take the greatest pleasure from exploring the world when we spend nights in a tent in beautiful places. We’re planning several camping trips, so if such a form of travelling is close to the assumptions of your company, please contact us. Thoroughly prepared blog posts or social media profiles which will promote your product/service. It is our priority to provide our readers with valuable content, which is why it is very important for us that a given campaign corresponds to the travelling theme of our blog. Do you have an interesting product which we could test during our travels and which we could review on our blog afterwards? Great, please contact us! Do you need special pictures of your products in unusual places? Do you want to present your product with a wonderful mountain panorama or an enchanting beach in the background? We offer both professional photo shoots of your products and copyrights for these shoots. We take pictures with an SLR, in high-definition RAW, so that they can even be used for large-sized prints. We don’t really need to be encouraged to travelling, and it’s the most pleasant form of co-operation for us. Do you run a hotel or restaurant or do you promote a given region? We’ll be happy to visit those places and show them to our followers on social media. Perhaps your company is just organising an interesting tourist attraction which we could participate in and share with our audience? If you have any ideas, please write to us! If you’d like to promote your product/service in an interesting way, we offer organising an engaging contest on our blog or social media. Travel writing is our passion, so we’ll be happy to prepare an interesting and catchy article for a travel-related publishing house, newspaper or website. Do you have an idea for an unusual activity? That’s great because we take various forms of co-operation into account, so feel free to contact us! If you think that the profile and character of what we do is suitable for your brand, please write to us! We are open to various forms of co-operation, so we will certainly find a common language. We’ll give you our phone number after you have e-mailed us.